Hands down, popcorn balls are my favorite thing in this entire world… or any form of popcorn for that matter… pizza and my dog are high up on this list as well. Anyways whenever I go to the movies, what do you think I need to get? Yes, popcorn, followed by candy and a drink…$80 later and I’m ready to watch a movie (I know everyone is thinking “been there done that”). I’m all about following the rules but sometimes the rules must be broken. If you’re thinking Mariah, what are you talking about…then you’re not the badass you think you are. I’m taking about sneaking food into the movies [cue the dramatic music] live a little!! You will thank me later when you’re chowing down on these balls (popcorn balls that is). These are simple and cost efficient, your ticket will cost more than what it cost to make them. Anyone could make them, if you manage to mess this up then there is no hope for you…. JUST KIDDING, y’all are awesome. Begin by popping your favorite popcorn. Personally, I like mine burnt a little (don’t judge) so I bypass that preset button and put the popcorn in for 3 minutes. Remember to take out the kernel, nobody wants a broken tooth. Place in bowl, set aside. Heat the caramel candies on medium to high heat until smooth, about 2-5 minutes. 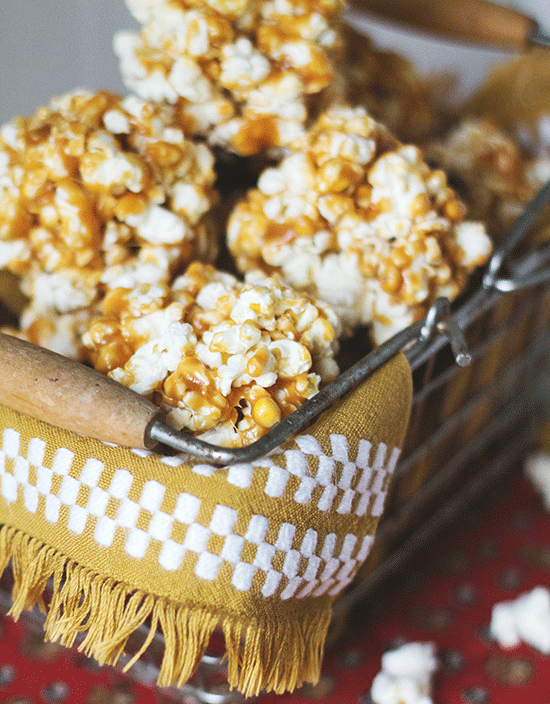 Pour over popped popcorn; allow cooling until you can handle it. Feel free to use food gloves or spray your hands with PAM to mold the popcorn in balls. Individually wrap in plastic wrap for easy transportation. ENJOY!